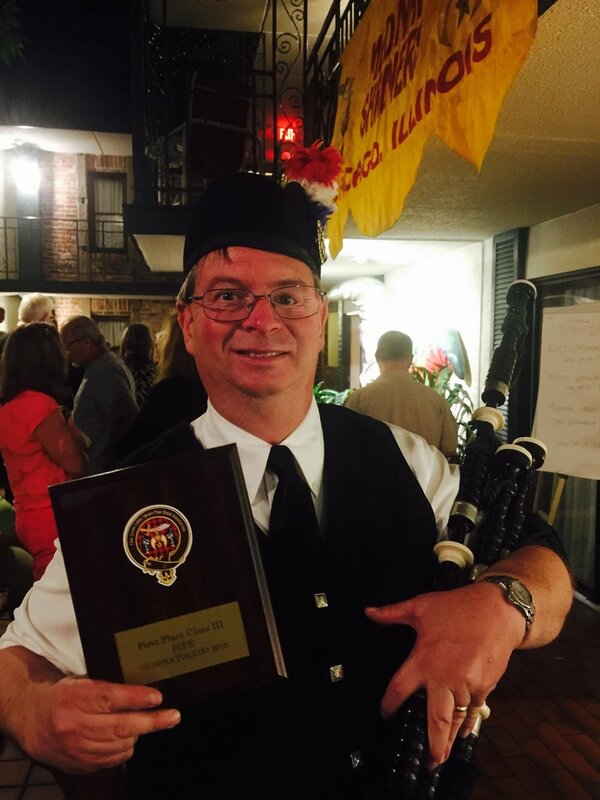 I play the bagpipes as a member of the Medinah Highlanders Pipes and Drums band. We are Shriners, who participate in parades and other events to raise money as charity for the Shriners Children’s Hospitals. I also play on my own, performing for parties, weddings, and funerals or memorial services. With a mix of Scottish and Irish tunes, and a few other favorites, I’ve played for birthday parties and St. Patrick’s Day parties. At wedding ceremonies I’ve been the recessional with Scotland the Brave, and then gone to the reception to play as guests arrived. I’ve played at funeral and veteran’s services with patriotic and Armed Forces songs as well as traditional mourning songs such as Amazing Grace and Going Home, as well as some Irish favorites. If you book me for your event, I can customize my performance to your desires, and will make your event memorable for all. Serving Chicagoland, Illinois and surrounding suburbs. Follow Doug on social media @piper548 on twitter, facebook.com/TheLonePiperbagpiper/ or Instagram.